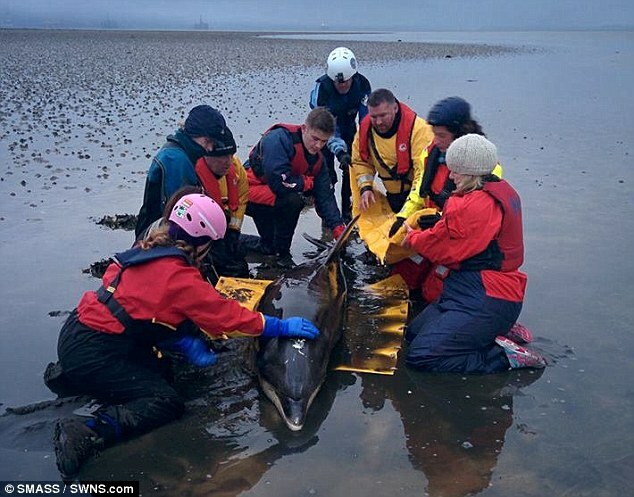 A team of good Samaritans have saved a bottlenose dolphin after it became trapped on sand by the retreating tide. 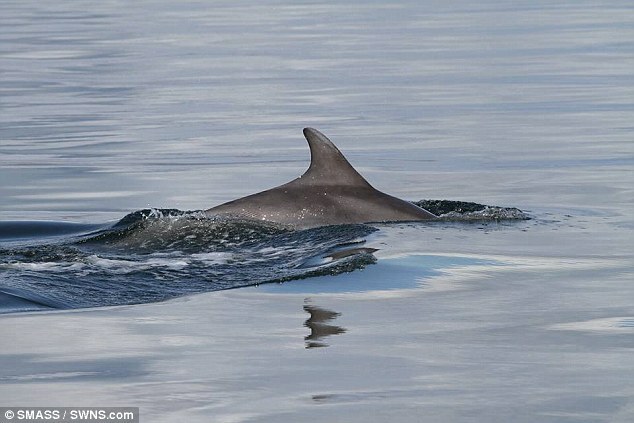 Lorraine Culloch, 38, from Arbroath, Scotland had been on the way to Channory Point with her partner Mike Robertson, when they noticed a fin sticking out of the water at Nigg, Ross-shire. But after looking through her telephoto lens, Lorraine was shocked to find that the fin belonged to a dolphin that had become stranded by the outgoing tide. 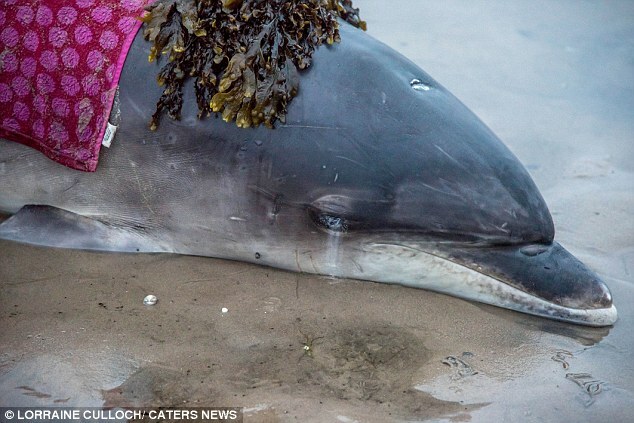 Although still alive, Lorraine and Mike realised the dolphin was in danger and phoned the police to help get the Scottish SPCA and the British Divers Marine Life Rescue out to save the stranded dolphin. Upon closer examination, the dolphin was a bottlenose named Spirtle, four. 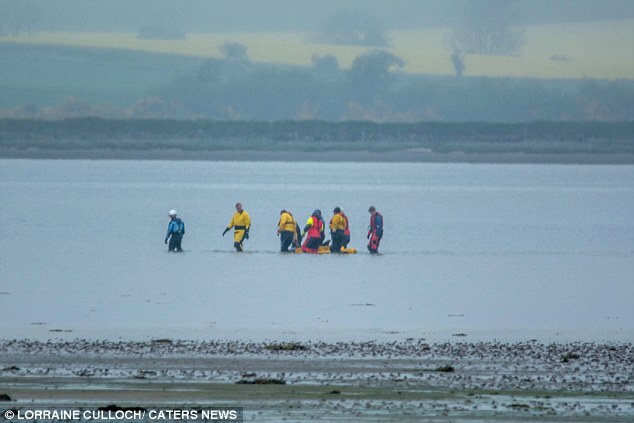 The dramatic rescue took a total of 10 hours since the rescuers were required to wait for the tide to go back out before they were able to release Spirtle back into deeper waters. 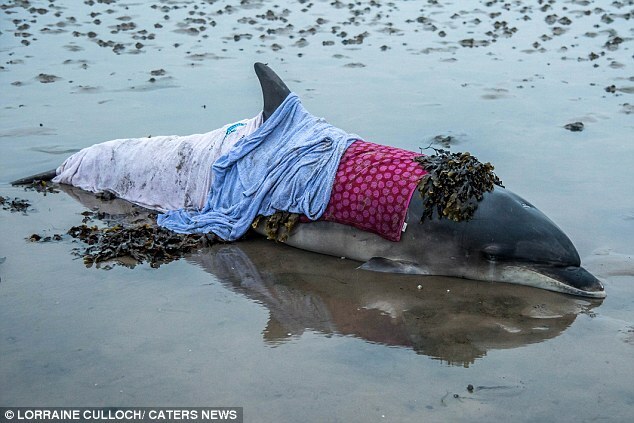 Lorraine said: “After the vet assessed that Spirtle would be well enough to rescue, the divers and rescue team soaked towels and covered her with seaweed to keep her wet. “Apart from some blistering, Spirtle had no visible injuries and had been seen out swimming with her pod just days before.“It was heartbreaking to see Spirtle looking so sad, especially since the rescue took so long. It took 10 hours waiting for the tide to go out. “At 4am when the tide eventually came in, the rescue teams got her onto a floating pontoon and walked her into the deepest part of the bay where they massaged her body. 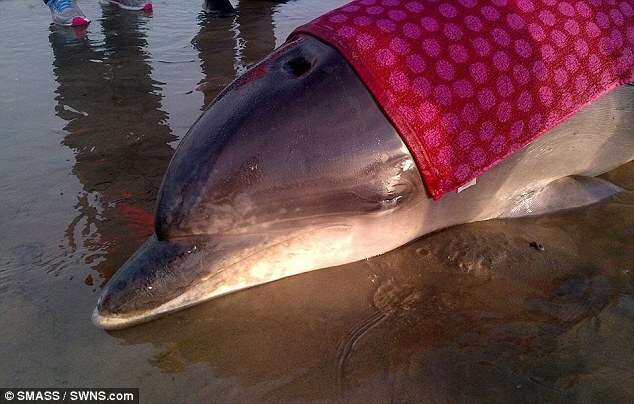 Responses to "Bottlenose Dolphin Rescued After Becoming Stranded On Beach"